Rebecca Martin along with Becca Stevens, Gretchen Parlato, Tillery, Aaron Parks, Kate McGarry, Taylor Eigsti, Harish Raghavan, Larry Grenadier and others contributed to the newly released album “My Life is Bold” an Arts for Life Project. “Music is an integral part of the vital support services the Arts for Life team offers to young patients and families. Arts for Life Music Fellow Colin Allured describes his job as “growing happy cell” where cancer cells used to be. In 2009, Becca Stevens sang at an AFL fundraiser and she and her father, William Stevens, had the idea to set some of the children’s poetry to music for the event. The response to those two songs was so strong that discussions of a CD began, including Becca’s brother Bill who is a composer and recording studio engineer. Arts for Life is a 501c3 nonprofit organization dedicated to supporting people facing serious illnesses. 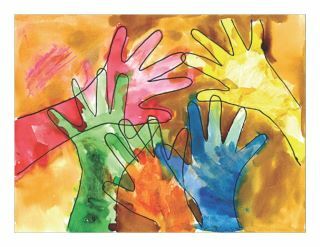 By providing educational art programs, they enrich patients’ lives, nurture their minds and spirits, and encourage positive health care experiences for children and their families. Arts for Life helps children every day in four cities across North Carolina. 50% Bionicles. 1% School. 25% Pizzas. 4% Video Games. 20% Whales, dolphins and marine life. Michael’s mind, what goes on in there? Constant Parties? Nonsense and bionicles. I have a big mind, and it is split into lots of sections. That what I feel like sometimes. It’s gonna end up in chaos and headaches. Sometimes the people partying in my head fight which causes headaches. Lately they’ve been doing this really good. Then they settle the agreement and order a pizza which goes down my throat into my stomach. (Michael had struggled with a brain tumor and has since past).